I’m glad to hear that you’re back and that your daughter is feeling less anxious! Thanks, Sharon. Anxiety runs on my hubby’s side . . . so that plays into it also. I don’t thing it waz cause of big CAT I got anxirty. I think it waz just School. You are such an awesome writer! The God Box…what a beautiful idea. Hugs to your daughter! The video was very touching. I almost cried. A nice tribute to Kaylee. Glad KK is feeling back to normal…whatever that means for a middle schooler anyway!!! Those are some tough years and I’m sure she is glad to have such a Co0L mama like you! Is this the book that Amy Carver said she just read and loved? thanks for the review…I def have to add to my list…now if I could ever find a few quiet minutes to read!! Yes, the first was just okay, but then it gets reallllllllly gOOd, and I like the prequels even better! I am one of those people you told about the book series and I LOVE it!!!!!!! I agree with everything you said and keep telling anyone who will listen about this series. I’m afraid to start book 4 because I read them so fast I’m afraid of it ENDING!! SO GOOD! You MUST read the prequels. . . just finished the 2nd one last night & they go really well together!!! Your poor daughter! No child should have to deal with anxiety! 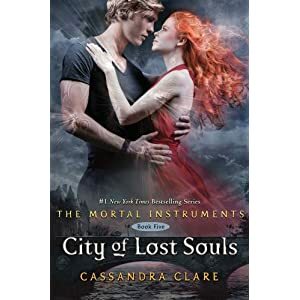 I love your review…Yes I’m totally a Cassandra Clare fan but I haven’t read this one or City of Fallen Angels yet. I know that I really need to ASAP!!! Thank God there’s only two half days left in the school year:) Yessssssssss, you need to read them–book 5 was soooooooo gOOd!! !